This blog was originally posted in February of this year, and was extremely popular at the time. I've decided to re-post it to the site for all of you who missed it first time around. Hope you enjoy! Romance is certainly in the air in the Tourireland office! And our thoughts have turned to some Irish wedding traditions that we have heard over the years or perhaps have seen incorporated into some Irish weddings. Some have their roots in the Celtic tradition, carried from generation to generation and adapted down through the years, with many Irish traditions replicated in Scottish weddings as a result of the shared Celtic heritage. Some you may recognize – perhaps similar to traditions found in other countries and others still may be new to you. But whether new or old, we hope you enjoy them and perhaps even use some of them in your upcoming nuptials or perhaps share with someone who is walking down the aisle soon! 1. Traditionally in Ireland, brides wore blue dresses, as it was seen as the color of true love and purity. However, over time this tradition faded and the white dress became popular. The “something blue” would still be incorporated into the brides’ accessories – be it on a garter, tied around the bouquet or sewn into the underneath of the dress. Green - although a symbol of Ireland was always deemed to be unlucky – although this superstition has largely died out in recent times. 2. Horseshoe – many Irish brides’ carry a horseshoe in their bouquet or perhaps as part of a charm on a bracelet always pointing up so that the good luck does not run out! It is thought that this tradition came from Celtic times when a horseshoe was thought to be lucky and even luckier when cast in the scared metal of iron. 3. Tying the knot – an expression thought to have come from the tradition when during the wedding ceremony the happy couple would hold hands together – right to right hand, left to left with their their wrists crossed and bound with a rope or ribbon to symbolize their commitment to spend their lives together. This tradition has seen a resurgence in recent years and is one that I personally really like! 4. Bell ringing was thought to ward off evil spirits and so guests were handed small bells to ring during the ceremony – I am guessing at appropriate interludes rather than randomly! Today, many brides incorporate a small bell on their dress or jewellery and perhaps the ringing of the church bells after the wedding ceremony is part of this old tradition. 5. Ring warming – another lovely tradition that I saw at my own sister’s wedding earlier this year. The wedding rings are passed around the congregation at the beginning of the ceremony, with each guest holding the ring for a couple of seconds before saying a silent prayer, wish or blessing for the couple and then passing it on. The idea is that the rings are thus infused with much love, luck and happiness from the guests on that day and every day of the marriage. Lovely! 7. Days and months also brought superstition – some were deemed luckier than others. Below are two verses about the best days and months to wed! 8. Handkerchief’s were used by the bride to symbolize fertility and the bride would have it with her throughout the day – perhaps tucked into her bouquet or dress. Afterwards, on the birth of the couple’s first child, the handkerchief would then be used as part of the Christening dress or bonnet. 9. To ward off evil spirits, whiskey was sprinkled on the ground of the reception, so that the couple would be safe from malevolent spirits during the course of the marriage. 10. If perhaps , you have not yet met your one true love, try the old tradition of taking a piece of wedding cake, passing it through the bride’s wedding ring before taking it home and putting it under your pillow as that night your future partner (should) appear to you in a dream! So after the ceremony, where better to start a new life together than on Emerald Isle and our exciting Honeymoon in Ireland Tour! We have some fantastic ideas of what to see and do on your Honeymoon in Ireland too, so read all about our suggestions and explore the magic and romance of Ireland for yourself. 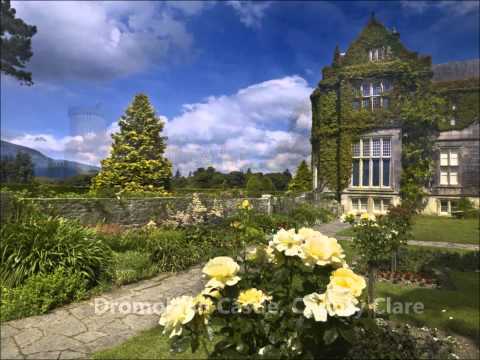 Get a Quote today and discover the romance of Ireland this year!